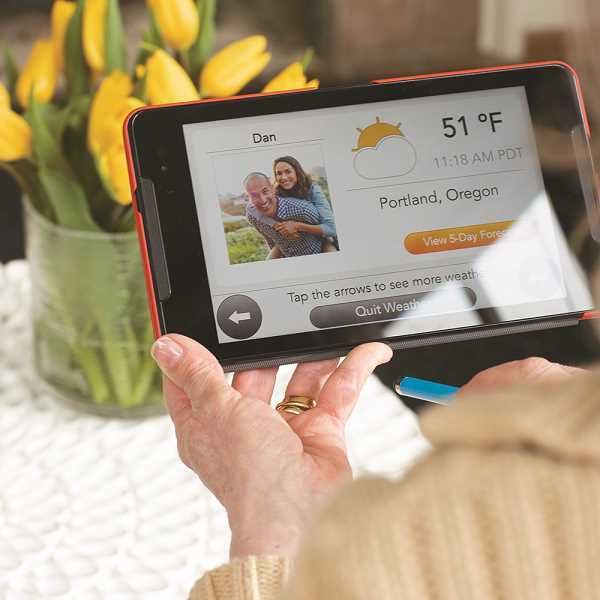 Consumer Cellular's new device Grandpad was developed to reduce isolation, loneliness among seniors. Consumer Cellular, the no-contract wireless provider ranked "Highest in Customer Service among Non-Contract Wireless Providers, Four Times in a Row" by J.D. Power, has launched GrandPad, a communications device developed specifically for seniors to prevent isolation and loneliness. "When we first heard of GrandPad, we were immediately interested in bringing the unique technology to our customers, for themselves or, in many cases, their parents," said John Marick, CEO of Consumer Cellular. 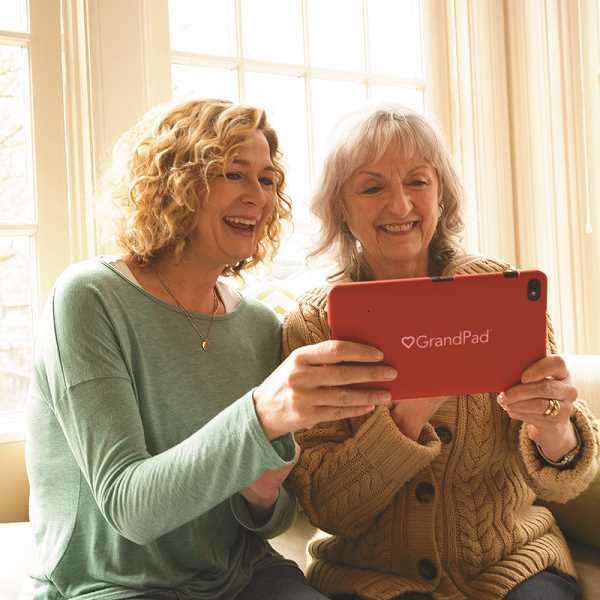 "GrandPad allows seniors to stay connected with loved ones in a way cellular phones simply can't. They functionality of the device makes it easy for seniors to operate, notably those who may be dealing with sight or dexterity issues. The device allows them to stay connected to their friends and family, which helps reduce loneliness and isolation — a growing issue in our society." A recent study by AARP found that isolation among seniors is as detrimental to health as smoking 15 cigarettes a day. While technology has brought families closer together, it has increased isolation for older members of the family who may not have access to social media channels or even text messaging and email. Unlike a tablet or iPad, GrandPad was designed specifically for seniors 75-plus who can't or don't use a smartphone or computer. When a GrandPad is purchased, a designated family administrator is able to completely customize the device before it is sent to the user. The easy-to-use device allows seniors to video chat, make voice calls, send and receive photos, dictate emails, listen to their favorite music and play games. The large, bright-colored buttons are easy to navigate, reducing points of frustration for the user as well as for family members. The wireless charging cradle eliminates the need to hassle with cords. Additional features include an encyclopedia, flashlight, magnifying glass and weather. GrandPad retails for $200, or $10 per month for 20 months with the EasyPay program and includes the wireless charging cradle, smart case and stylus. The monthly service fee of $40 includes unlimited data so users can video call, stream music ad-free, share photos, have access to a dedicated Consumer Cellular support team, as well as ad-free companion app usage. For more information or to purchase a GrandPad, visit consumercellular.com/caregiving or call 888-545-1425. Consumer Cellular is a top-rated wireless carrier that provides no-contract cellphones and service plans primarily to those 50-plus. The company has been an AARP provider since 2008, and offers AARP members special discounts on service. Founded more than 20 years ago on the belief that everyone should have affordable access to the safety and convenience of cellular service, Consumer Cellular is privately held with more than 1,500 employees. The Portland-based company utilizes the nation's largest voice and data networks, which covers more than 300 million people — or 99 percent of the U.S. population. Consumer Cellular's wireless phones and plans are sold nationwide at leading retailers such as Target, as well as directly to consumers at ConsumerCellular.com or 888-345-5509. The company has been ranked on the Inc. 5000 list for nine years in a row.